Eight Traditional Song Arrangements for Medium-High Voice and Piano. Composed by Mark Hayes (1953-). Sacred Vocal. Vocal score and accompaniment CD. Lorenz Publishing Company #30/2641L. Published by Lorenz Publishing Company (LO.30-2641L). 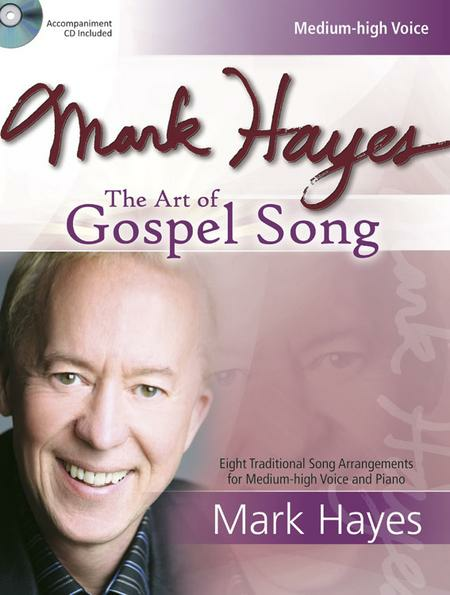 Inspired by the gospel songs of an extraordinary generation of nineteenth-century writers, Mark Hayes has arranged an exceptional collection of eight vocal solos partnered with distinguished piano accompaniments in an art-song style. Incorporating twelve gospel classics, these musical treasures, available for both medium-high and medium-low voices, are worthy of concerts and worship alike. As an added bonus, Mark has recorded accompaniments in both voicings as well as "Mark's Musings"--narratives that offer the performer insight into the arranger's inspirations for each song--all contained on the included CD.